Sorry for the week-long break. Real life called. But now I’m back and it’s time to talk Oscars (see the nominees here). A month ago I picked George Clooney to win the Golden Globe for Best Actor (Drama) for Up in the Air, and said that an equally deserving candidate was Jeff Bridges in Crazy Heart, and this is where we’ll be at with the Oscars in four weeks, too. It will be down to Clooney and Bridges, with Bridges taking the front-runner’s position this time. Why? Let’s break it down. 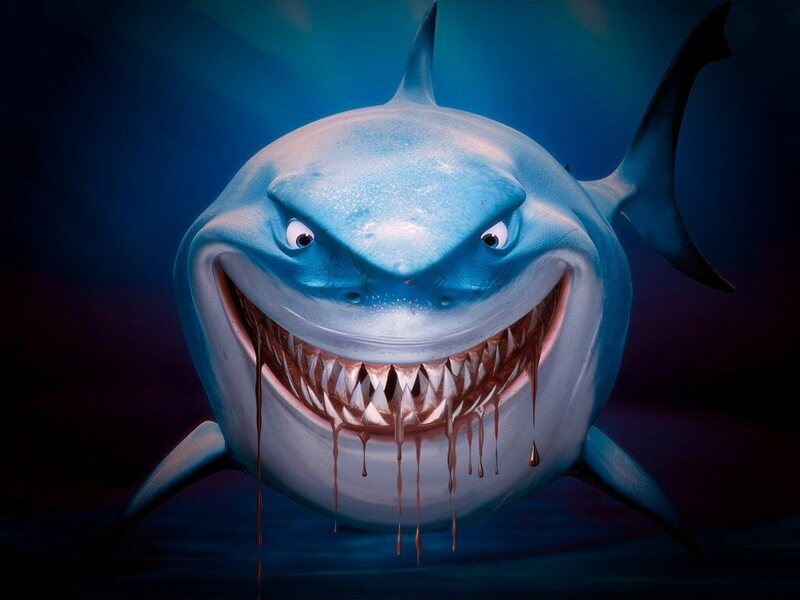 First, this is a good movie. I’m kicking myself for not including it on my best of 2009 list, except I didn’t see it in 2009, so I didn’t know what I was missing. Rationalization! Directed by actor-turned-first-time-director Scott Cooper (Get Low) and written by Cooper from the Thomas Cobb novel, Crazy Heart tells the story of Bad Blake, an alcoholic country star reduced to playing bowling alleys and third-rate dive bars. 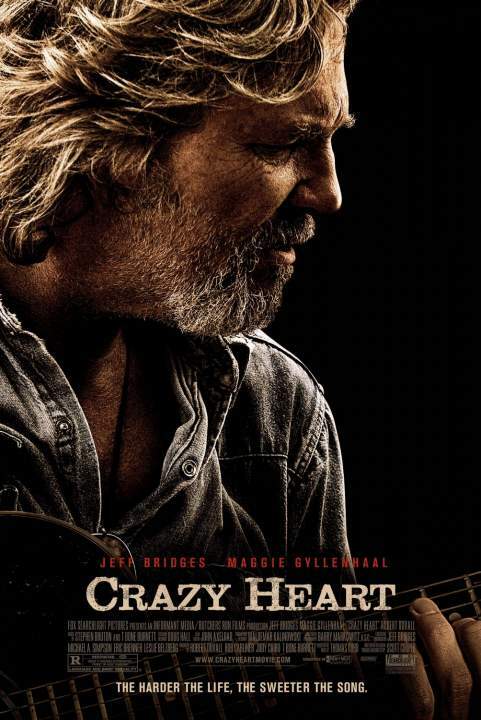 As a movie, Crazy Heart is pretty typical. Lensed by Barry Markowitz (All the Pretty Horses), the New Mexico landscape provides a lot of pretty, empty backdrops as Blake drives his battered Suburban from one demeaning gig to the next. The script is good enough, the direction workmanlike, but Crazy Heart is not about those things. It’s about the acting and the music, and in those two areas, Crazy Heart shines. It’s a good song, yeah? Kind of that old school, Willie Nelson, guy-with-guitar country. It fits Bridges’ voice and character perfectly. Music is the backbone of this movie, from “The Weary Kind” to the twangy score. And no matter how drunk Blake gets, he takes exceptional care of his guitars and equipment, in one scene lovingly cleaning his guitar surrounded by whisky bottles, and in another he turns down the big fancy superstar’s sound kit in favor of the Fender Tremolux he’s been toting across the country for thirty years. You can always tell when T Bone Burnett is involved in a movie because of that kind of attention to detail. A true musician never abandons the instruments that made him great. But the centerpiece is Bridges’ performance as Bad Blake. Grizzled, sweaty, drunk–Bridges carries nearly every frame of the film. Blake is a bit of cliché. He’s the once-famous, oft-divorced country star who hasn’t written new music in years and can’t get a new record made. His protégé Tommy Sweet (an uncredited Colin Farrell, who bears a striking resemblance to Cross Canadian Ragweed front man Cody Canada) has become a chart-topping success but Blake and Sweet no longer speak. In Santa Fe Blake meets Jean, a would-be music journalist who wants to interview him. One of Bridges strengths in this performance is combining Blake’s destructive alcoholism with moments of genuine friendliness and interest in others. He agrees to give an interview to Jean, the niece of a piano player, sight unseen, simply because it would help out a struggling writer. 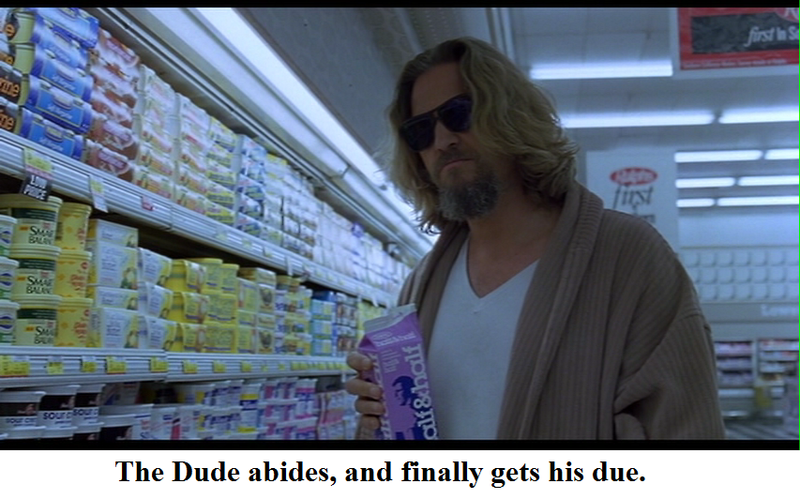 Of course this becomes the central relationship of the film. Maggie Gyllenhaal (The Dark Knight, SherryBaby) is perfect as Jean. Bridges’ performance wouldn’t be so great were it not for Gyllenhaal working opposite him. 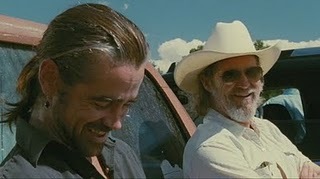 Crazy Heart is proof of what two excellent actors working together can accomplish. (After being ignored all awards season, Gyllenhaal finally got some notice with an Oscar nod for Best Supporting Actress. If anyone could upset Mo’Nique, it will be Gyllenhaal.) Their May-December romance is inevitable and sweet, though Jean is not the least bit naïve. She knows exactly what Blake is, accepting his baggage and asking only that he not drink in front of her young son. And you can see Blake slowly being revived through Jean’s love. He writes “The Weary Kind” while recuperating from an accident at Jean’s place, and when she hears it, Jean cries. “I’m going to hear that song for years and I’ll always have to think of you writing it here,” she says, implying the end in the middle of their relationship. While Tommy Sweet plays “The Weary Kind” to a sold-out crowd, Blake tells Jean, “Without you, there is no song.” It sounds clichéd, but Bridges is so sincere in the moment you can see Blake thinking about how close he came to really throwing it all away before Jean towed him out of the muck. That song is everything in this movie. You can see it in Blake’s face when he plays it through–the knowledge that he’s written something great, but something he is going to have to sell to someone else. But that’s the price for years of blowing it and screwing up and Blake knows it. Bridges brings Blake a sense of impending doom–from the beginning you know Blake is going to crash and burn. But he also gives Blake a desire to get back what he once had. The central tension in Crazy Heart isn’t will-he-or-won’t-he with Jean, or whether or not his alcoholism will cost him everything, but which aspect of Blake’s character wins–his capacity for screwing up or his ability to come back. Through it all is Bridges’ weathered face reflecting a man on the cusp of giving up, but willing to try one last time to make something go. I’m calling it now. 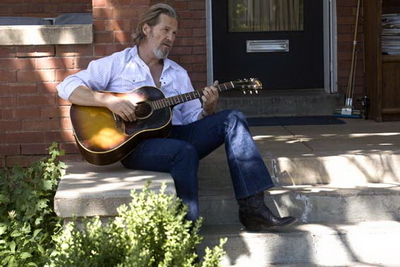 Jeff Bridges will win Best Actor at the Oscars for Crazy Heart. Totally agree with everything you said. Jeff WILL take the Oscar.